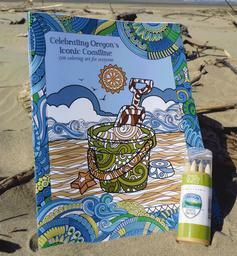 Celebrate Oregon’s iconic coastline with this coloring book and coloring pencils. Fun for all ages! 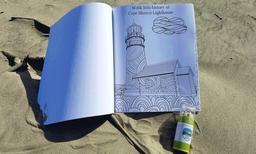 This custom book includes coastal scenery, recreational highlights and fun marine wildlife. The custom state park mini pencil set is perfect for on-the-go coloring. A sharpener is included in the lid!